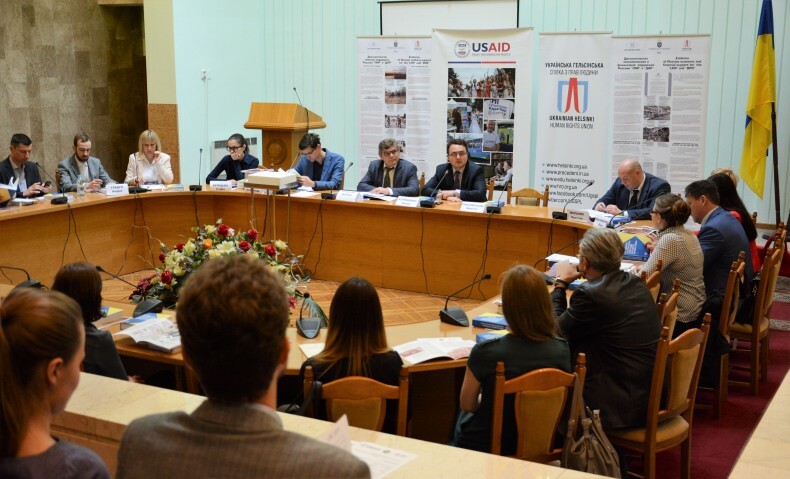 On May 23, 2017, in the Hall of the Academic Council of the Institute of International Relations of the Kyiv National University, interesting composition with academics, human rights defenders, lawyers, teachers, and students participated the roundtable. For two hours, they discussed yet little-known to Ukrainian society theme of the so-called Transitional Justice. At the same time, the round table “Baseline study on the application of transitional justice in Ukraine” has become a kind of a long presentation of human rights activists and scholars on the analysis of international experience in the field of reconciliation and overcoming the consequences of the armed conflict. The research can be found on our website. 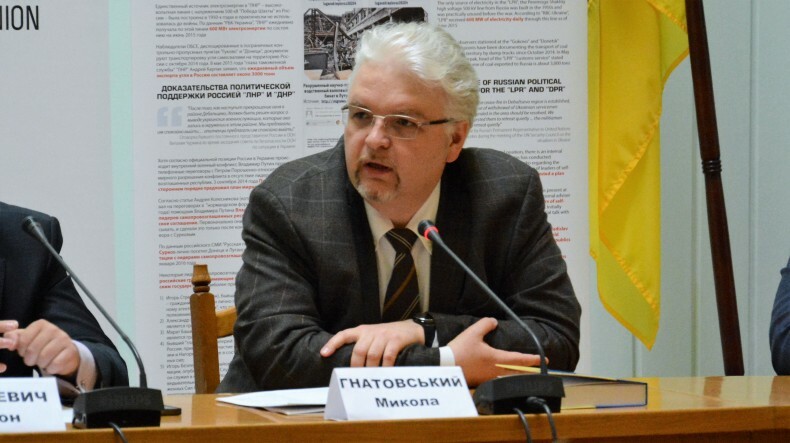 In his opening remarks, Anton Korynevych, coordinator of the research work of the Institute of International Relations of Taras Shevchenko National University, said that the post-conflict state, setting the goal of restoring peace and the rule of law, often turns to transitional justice model. Working with the consequences committed during the conflict, massive violations of human rights and the ultimate goal of national reconciliation, the said model provides simultaneous state activities in four main areas: criminal justice, redress for victims, institutional reform, and truth-telling. The knowledge of experts and legislators on transitional justice is essential to adapt government activities to new challenges in the armed conflict and its completion. 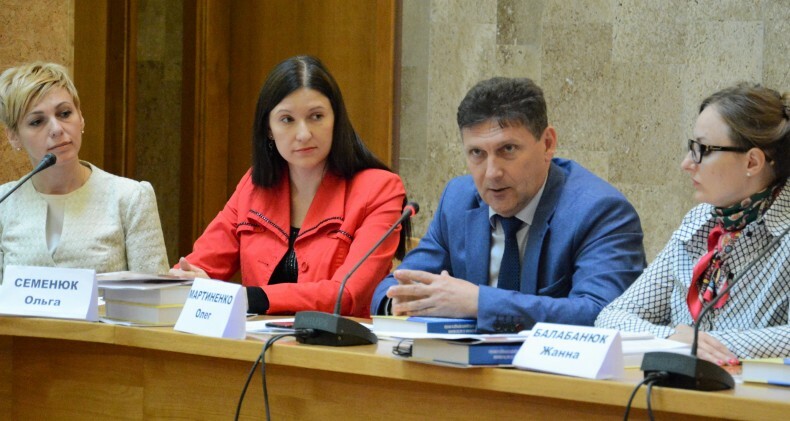 Arkadiy Bushchenko, Executive Director of the Ukrainian Helsinki Human Rights Union, noted that transitional justice as a model of society transition from armed conflict to post-conflict period is today the most modern approach to solving the problems that Ukraine has to do the last three years. So, in view of this understanding, it is important to have the prospect of developing a national legal model to introduce the basic principles of transitional justice. Oleh Martynenko, head of the analytical direction of UHHRU, told about the history of this rather not typical study. 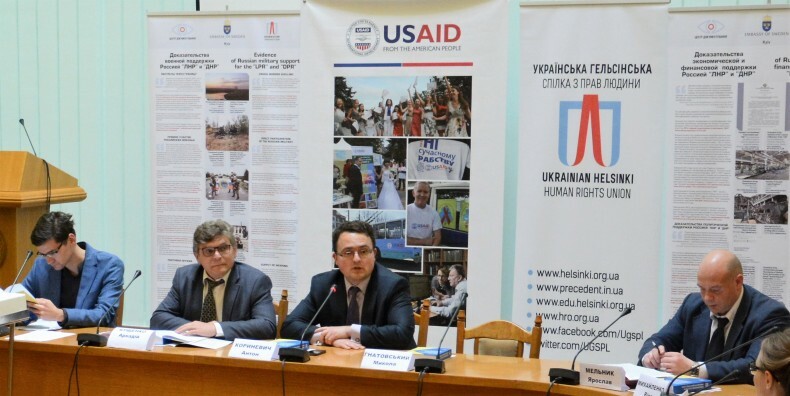 In early 2016, the idea of ​​introducing the principles of transitional justice in Ukrainian case law has been the subject of previous discussions with experts of the Ukrainian Helsinki Human Rights Project, the USAID Fair Justice project, the International Renaissance Foundation and the Office of the UN High Commissioner for Human Rights. The meeting resulted in the formation of concept studies and team of authors, which includes 16 experts from a number of scientists, NGOs, the judiciary and the legal profession. 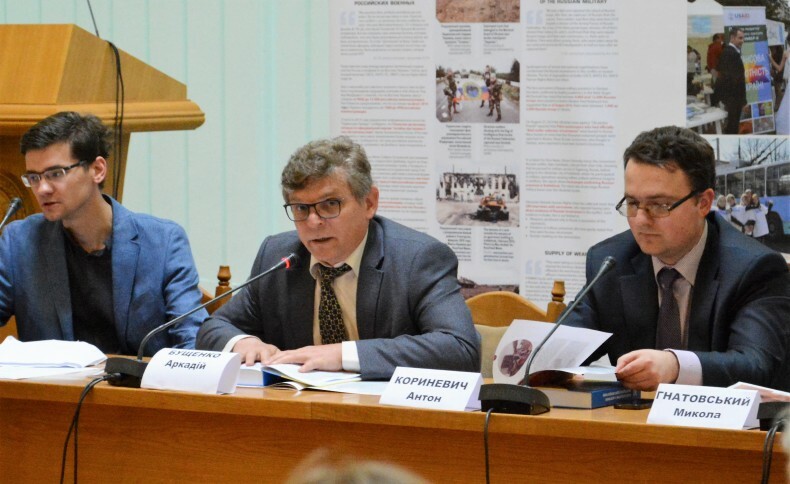 On May 25, 2016, at the initiative of UHHRU, the Ministry of Justice held an international roundtable “Prospects of the application of transitional justice in Ukraine,” which brought together about 50 representatives of government agencies and authorities, experts from international and non-governmental organizations, scientists from leading academic institutions in Ukraine. Recommendations of the roundtable on the implementation of transitional justice were sent to the Presidential Administration and the Cabinet of Ministers. 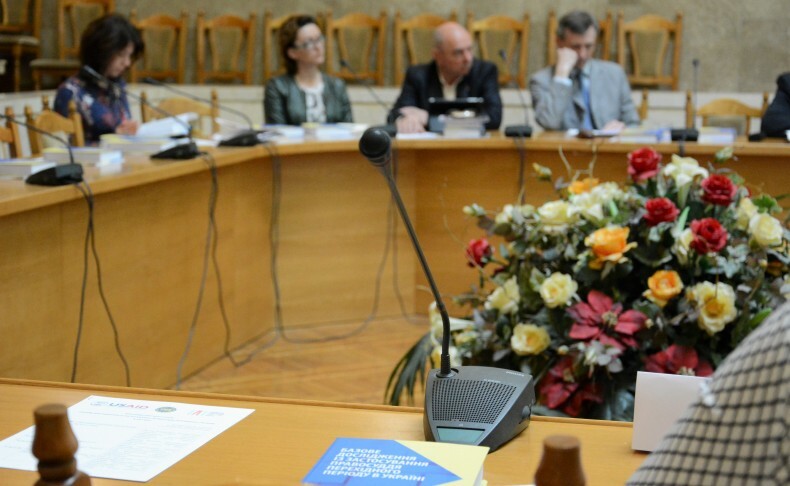 The undisputed positive result of the roundtable was the launching of a network of experts in the field of transitional justice, ready to implement best practices in Ukraine. 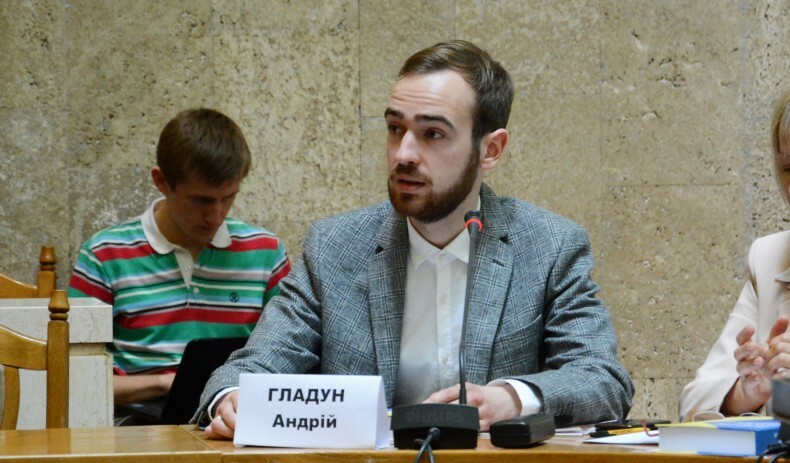 Andrii Hladun, an analyst at the Center for Documentation of UHHRU, stressed the importance of documentation for effective implementation of transitional justice mechanisms. In particular, the collection of objective information on violations of human rights and international humanitarian law committed by all parties to the conflict can serve as a foundation for future peace processes and justice. To date, the state can assist in these processes by more effective investigation of all allegations of crimes committed in eastern Ukraine, and bringing perpetrators to justice. The Center for Documentation of UHHRU, in turn, is ready to provide the testimony of the victims gathered during numerous monitoring visits to the authorities conducting the investigation. To make necessary efforts to implement mechanisms of Transitional Justice in work of law enforcement and judicial authorities of Ukraine. To direct expertise potential on creation of national mechanisms of truth-telling, oriented on reconciliation and non-causing additional trauma for victims of the conflict (centralized database, work together with government and non-governmental sector, restoration of documented events). To continue the reform of law enforcement and judicial systems with a focus on the possible introduction of so-called hybrid judicial mechanisms, particularly with hybrid courts with the legal procedures for their composition of foreign judges. At the level of law enforcement and judicial systems, to determine a need of a common approach to the identification of victims of the armed conflict, giving them effective compensatory remedies, restoration of their rights and freedoms on the basis of international law. Restoration of rights, in particular, should include restoration of liberty, opportunity to use all the scope of human rights, restoration of ID, marital status, and citizenship more. To conduct a national discussion on sector reform civil security; to develop policies and strategies to protect the right to life of the population during military and emergency situations. To strengthen capacity of Ukrainian specialists, working in the field of documentation and investigation of war crimes and violations of international humanitarian law through specialized educational programs. To accelerate development of legal mechanisms for the exchange of prisoners, fixing cases of shelling of civilian objects, transparent mechanism for determining the distribution and compensation for damaged and lost property. Employees of the Ministry of Justice, the Office of the Prosecutor General, the Ministry of the Interior, the Ministry of temporarily occupied territories and internally displaced persons, the Ministry of Information Policy of Ukraine, the Department of civil-military cooperation of the Armed Forces of Ukraine, experts of international and national NGOs were invited to the roundtable. Also, the event was attended by alumni of the UHHRU course “Human Rights Standards in the Practice of Lawyers and Judges,” who are also part of the team of authors of the study.